Winter is coming. And what we mean by that is that Game Of Thrones premieres this weekend and we’re getting really excited. In honor of a new season of Jon Snow and Arya and the Queen of Dragon gracing our tv screens, we’ve put together a list of places that you can visit in Ireland that has been featured in the series. The Dark Hedges. Probably the most iconic Ireland Game Of Thrones location, The Dark Hedges was featured as The King’s Road in Season 2 Episode 1 and rumors are that it will again be featured in scenes for the upcoming Season 7. They’re located along Bregagh Road in Northern Ireland’s, County Antrim! 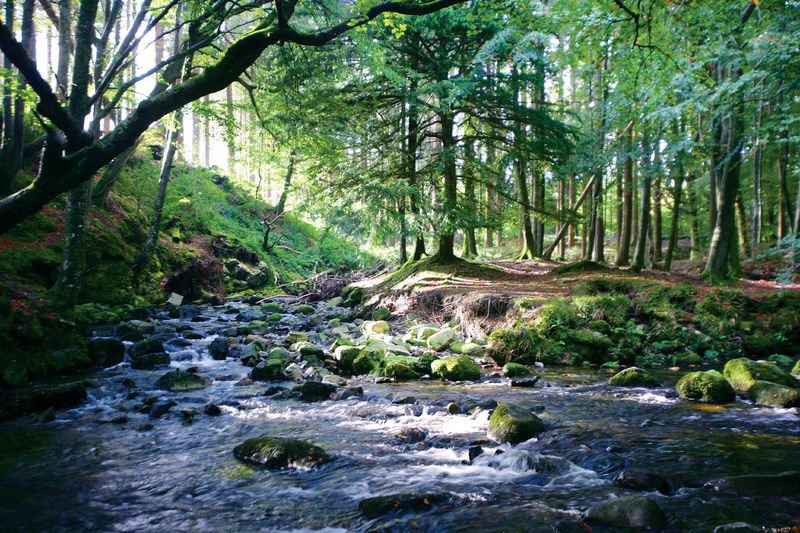 Tollymore Forest Park. You’ll probably remember this area as ‘The Haunted Forest’ in Game Of Thrones. It looks a lot less scary in real life and makes for a fantastic place to go on a hike and check out nature! Located in County Down, the park has numerous stone follies and bridges and a magnificent Cork Oak. Audley’s Castle. Audley’s Field was used during Season 1 as King Robert Baratheon and his retinue arrive at Winterfell and was the backdrop for Robb’s camp in Season 2. You can even take a self-guided Game Of Thrones cycling tour here and explore Robb’s trail! Located in Strangford Lough, County Down, you’re able to explore the grounds and the historic castle at your pleasure when visiting. Dunluce Castle. True Game Of Thrones fans know of this castle not by it’s true name, but as the House of Greyjoy, ruler of the Iron Islands. It is located on the edge of a basalt outcropping in County Antrim and just a short distance from two of Northern Ireland’s tourist highlights – The Giant’s Causeway and Old Bushmills Distillery! Belfast. We know this isn’t a specific location, but we had to mention it since Game Of Thrones is shot here at Titanic Studios! 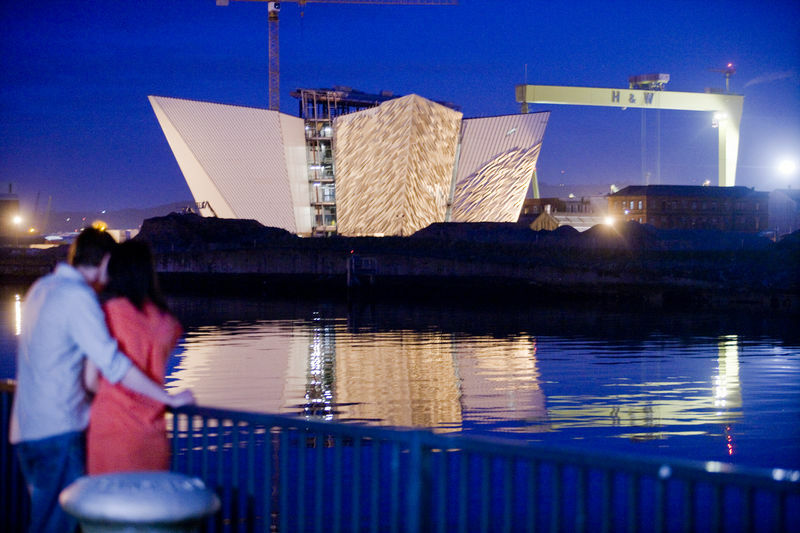 There’s so many incredible things to do in Belfast, but we suggest checking out the Titanic Experience, the lively Cathedral District for Belfast’s legendary music scene (think Van Morrison and Snow Patrol) and visit to St. George’s Market for crafts from local artisans, fresh food, and a fun stroll through some unique offerings. Ballintoy Harbor. Located in the picturesque village of Ballintoy, County Down, you may remember the harbor for Theon’s return to the Iron Islands in Season 2. It’s a small fishing harbor and close to the iconic Carrick-a-Rede Rope Bridge – not for the faint of heart, but a fun way to get an amazing picture of the rugged coastline. Downhill Beach. Or, as we call it, Dragonstone! Dragonstone is where the seven gods of Westeros were sacrificed by Lady Melisandre. Enjoy water sports, long walks and bring a picnic lunch! Located along the Causeway Coastal Route in County Londonderry, be sure to stop by Mussenden Temple – another iconic photo op along the amazing edge of Northern Ireland. We’ve put together an amazing Game Of Thrones Ireland tour so you can experience it firsthand! BONUS: Now through August 31st, take $100 off! Just mention the keyword “THRONES” when booking! Check it out here.